Planning for the perfect wedding day can take as long as three years in many cases, so it’s very important that the right consideration is taken into what is going to make your big day special and unique. Elite sound’s attention to detail and it’s accessability with Brides & Grooms ensures that everything is catered for! From the choice of music to be played to the correct size of LED dancefloor, we are on hand to advise and guide on our stunning range of products. Elite Sound are proud to serve many of the the most prestigious wedding venues across Yorkshire and we will be exhibiting at those over the coming months, where you will have the opportunity to meet us and discuss your requirements and ideas for your big day. We are extremely excited to be offering our current product range as well as a couple of new additions to our product portfolio. 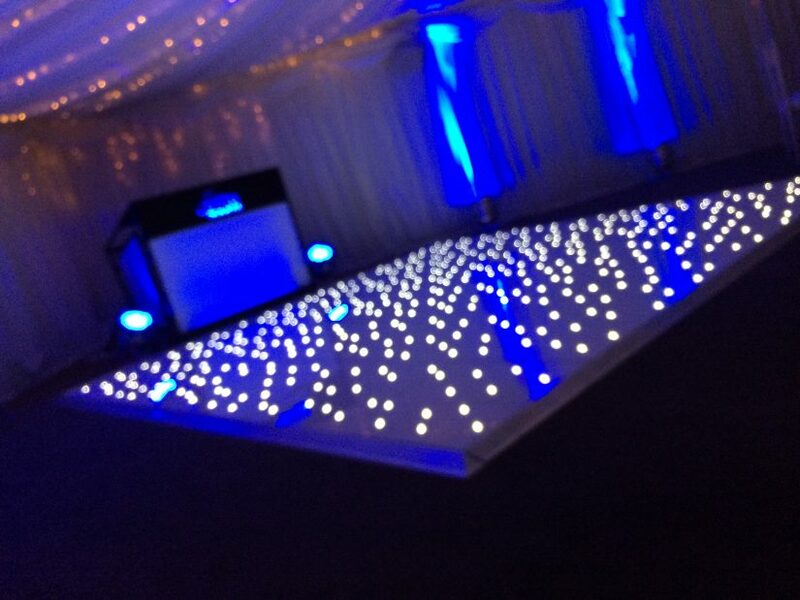 Our White LED dance floors, Light up letters, Vintage cinema sign, and White LED starlight backdrop have all been very popular this year offering wonderful decoration at venues far and wide. But what of our new products I hear you ask???? We’ll all will be revealed at the Woodlands Wedding Fayre, Sunday 9th October 2016. Come down and see us and take a look at the fantastic product range Elite Sound have to offer. Please see below for the forthcoming wedding fayres we will be exhibiting at between now and November 2016, see you then!